1-CD with 24-page booklet, 24 tracks. Playing time approx. 72 mns. On this compilation you will find the long sought-after recordings of Corry Brokken for the Belgian'Ronnex' label. 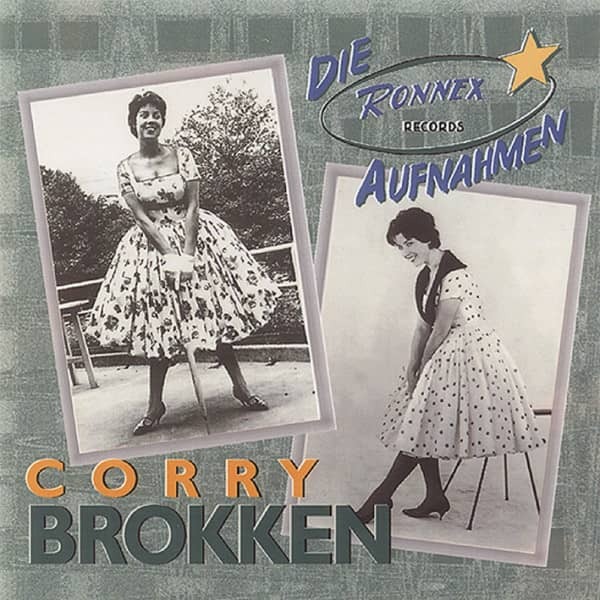 They are proof that Corry Brokken was able to demonstrate talent and versatility in the selection and interpretation of her songs long before her great success, winning the Eurovision de la Chanson Grand Prix on 3 March 1957 in Frankfurt. Corry Brokken could not be ignored. Ronnex owes her first record contract. Then she took off. Net Als Tön (at that time everything was so beautiful) was a great success all over Europe. But for their many fans, the rarities they find on this Bear Family production, including two previously unreleased duets with Karel van der Velden, are indispensable. The Dutch singer's name is associated with numerous hits from the 50s and 60s. 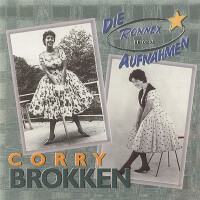 Corry Brokken conquered an audience of millions in Germany and the Netherlands with her unforgotten songs. The present production of her Ronnex recordings also proves that even before the legendary date, March 3, 1957, when she won the Eurovision de la Chanson Grand Prix in Frankfurt with Net Als Toen (everything was so beautiful back then), her vocal performances were not to be despised. Here are their recordings for the small Belgian label, which in the first half of the 1950s showed a good nose for finding young talents. To avoid misunderstandings: Most of the Ronnex recordings remained a bit guilty, both musically and technically. On the other hand they are indispensable for the fans of the singer. A style of their own - that was confirmed by critics who heard Corry Brokken around 1950 with'Fiesta', the amateur orchestra of her birthplace Breda. This was also confirmed by visitors who witnessed her performances in cabarets and other events, at that time still under the pseudonym Colette Carol. Corry's name first appeared in Radio Kruimels (Radio-Krümel), a widely read section of the Dutch music magazine'Tuney Tunes' in August 1952. "The programme for the 700th anniversary of Breda", 'Tuney Tunes' let its readers know, "offered me two musical performances of importance. The main one was a completely unknown young singer named Corry Brokken, who sang the American hit'I Apologize' with Dutch lyrics in a heartwarming way." Nine months later, the music journalist Frans Friso, who wrote under the pseudonym'Kruimelaar' for'Radio Kruimels', asked in the April 1953 issue of'Tuney Tunes' why nothing had been heard of her since her performance in Breda. Slowly but surely Corry made a name for herself, and at the end of 1953 Ronnex became interested in her. A few months later she signed her first record contract. In spring 1954 the first record with two Dutch titles Waarom? and Hier In De Vrije Natuur. was released. Her second Ronnex release was sung in English: Autoscooter's Boogie/Begin The Beguine, accompanied by the Dutch trumpeter Eddy Meenk. "A hit disk", praised'Tuney Tunes' in October 1954. 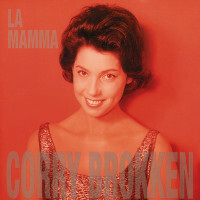 "Corry Brokken", it continued, "the latest vocal discovery from the Netherlands, beats all her predecessors. Voice, lecture and expression are not simply imitations of other famous performers. No Doris Day swerve or Teresa Brewer-Kiekser, only her fresh voice, which radiates a very personal charm, makes this recording a hit". Corry took off. After graduating from school, the artist, who was born in Breda on December 3, 1932, took on various jobs. With the consequence that the singing was limited to evenings and weekends. An occupational accident - she had gotten mercury in her eye as a dental assistant and had to wear glasses afterwards - finally led her to the decision to make singing her profession. She wrote to various concert organizers and finally got her chance. First she appeared as a professional singer in a cabaret in Eindhoven, then she came to Amsterdam, where she heard orchestral director John Kristel in the well-known cabaret'De Doofpot' at Rembrandsplein and engaged her for his band. At the same time Corry took singing lessons with the Amsterdam vocal teacher and choir director Bep Ogterop. In March 1956, after listening to her German single Mein guter Stern / Ein Tag mit Dir I again prophesied to her in'Tuney Tunes': "Within a year her name could be known to all music-loving Dutch people". And my Belgian colleague Theo Thijs wrote: "A day with you' could be a breakthrough for the young Dutch singer. We wish Corry this success with all our heart, because it is not her first good record. We're thinking especially of her German recordings of'Nana' and'Rio de Janeiro'"
In the spring of 1956 Corry Brokken represented the Netherlands for the first time at the Eurovision de la Chanson Grand Prix in Lugano with the song Voorgoed Voorbij. However, Lys Assia with chorus won the competition. 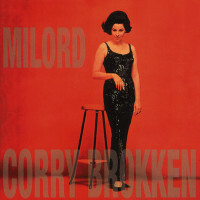 A brief fling led Corry to the Polydor microphones in Amsterdam on April 27, 1956. Customer evaluation for "Nana - Die Ronnex Aufnahmen"